The original roof was a built-up roofing system, later top-coated with a white acrylic. Western Colloid was the ideal choice for this project because they offer products that have no hazardous fumes, which is key for any roof being installed on an occupied building. Choosing Western Colloid eliminated the need for tear-off and removal of hazardous waste, which is especially sensitive in a hospital setting. 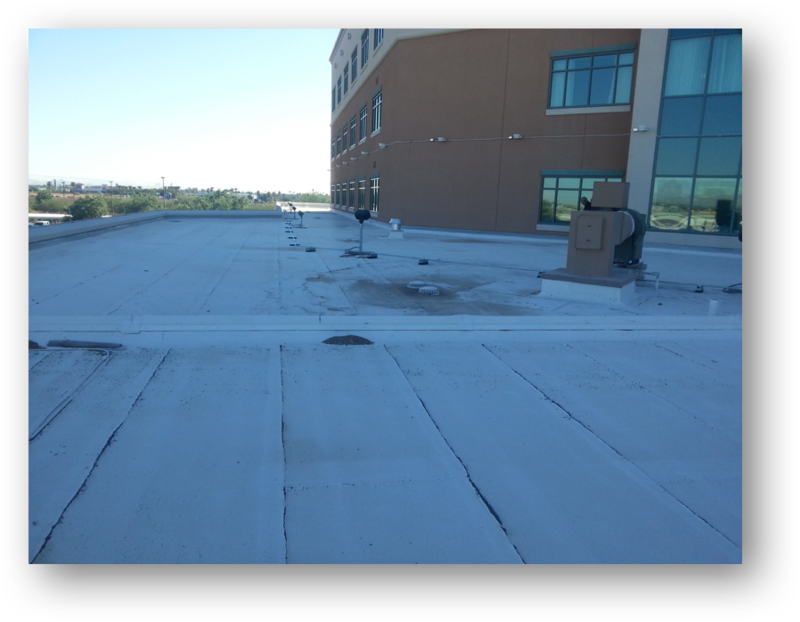 Western Colloid was able to offer a solution that kept the existing roof in its place without removal. 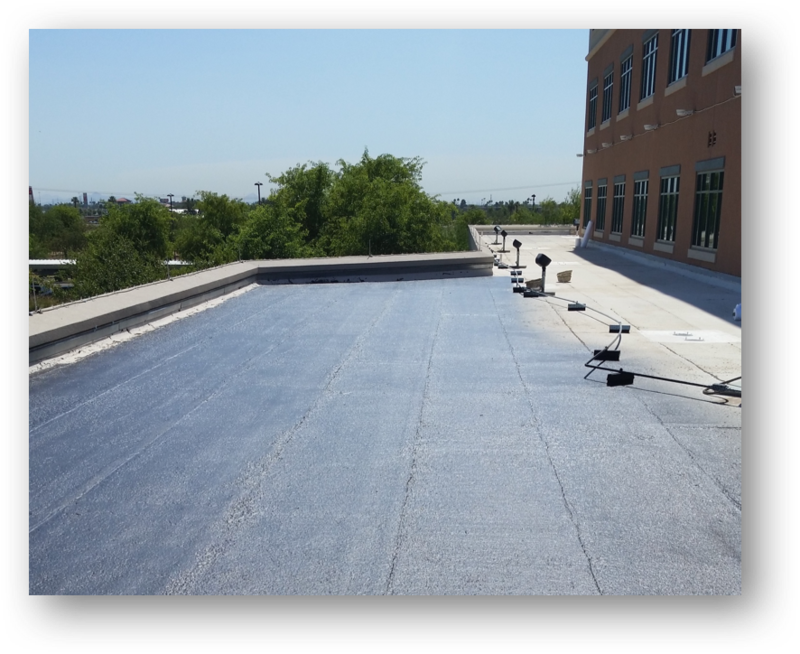 Lastly, this method offered savings of over 30% on the cost of the roof restoration versus a replacement, delivered the added value of an energy efficient roof and included an industry-leading warranty. 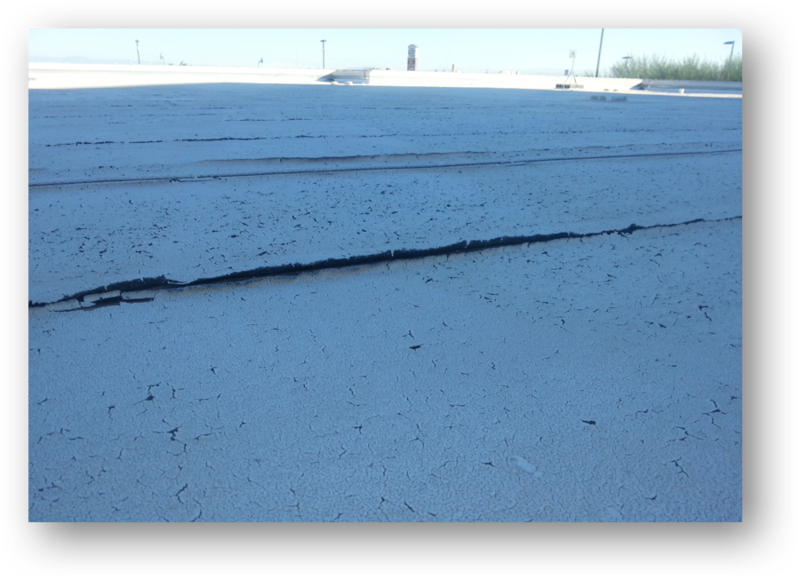 The existing substrate was prepared by removing the peeling coating and cleaning the roof surface. After addressing drains, seams and protrusions, a light coat of emulsion was used to fill the void. 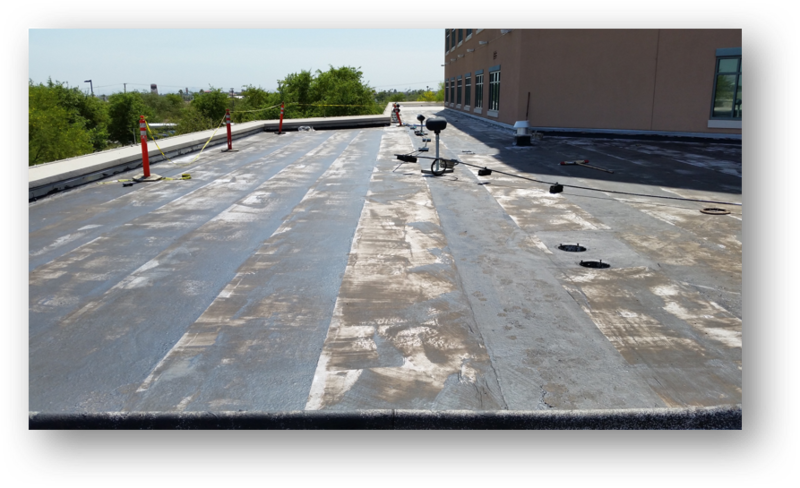 JBS Roofing then installed a Western Colloid Fluid Applied Reinforced Roof System consisting of a 1-Ply Polyester Reinforced and embedded Acrylic Surface. Photo shows the failing roof peeling and delaminating seams. Inspection shows roof assembly with surface cracks. After cleaning and preparing the roof a thin coat of emulsion was installed to fill the voids. Polyester is installed and embedded in emulsion. After Acrylic top coat. 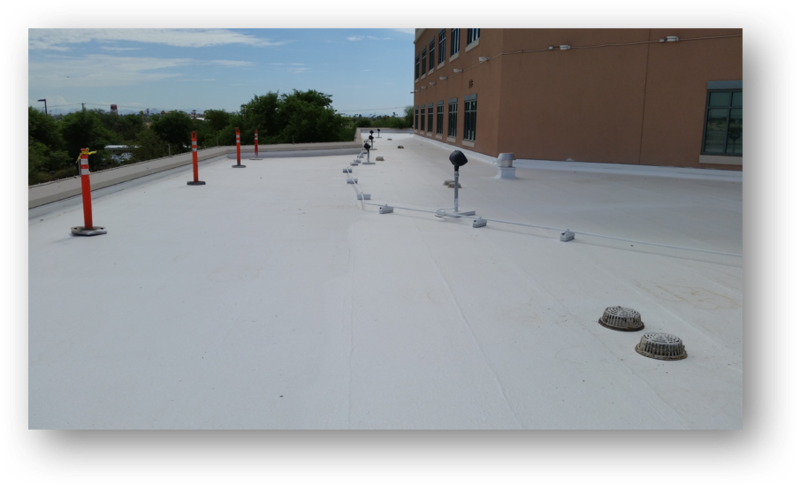 Finished roof is now worry free with a warranted Western Colloid Fluid Applied Reinforced Roofing System. Applied Reinforced Roofing System.